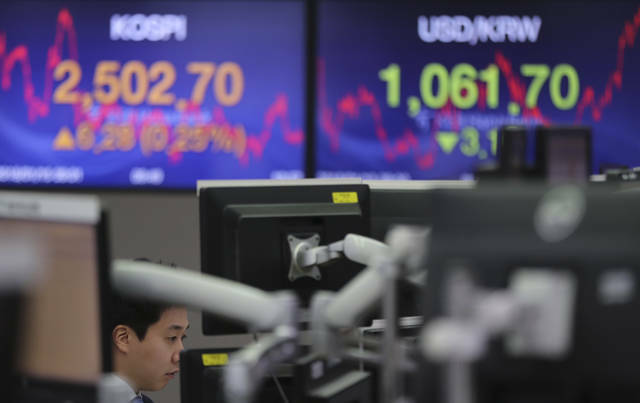 SEOUL, South Korea (AP) — Global stocks mostly fell on Monday as the dollar weakened across the board, pinching the outlook for export-driven regions like Europe. The U.S. market remained closed for a holiday. KEEPING SCORE: Britain’s FTSE 100 fell 0.1 percent to 7,768.12 while Germany’s DAX dropped 0.3 percent to 13,209.37 and France’s CAC 40 ended the day roughly unchanged at 5,519.41. U.S. markets remained closed for Martin Luther King Jr. Day. DOLLAR: The dollar fell in value against most currencies, extending its losses so far this year. Some economists attribute it to optimism about economic growth in regions like Europe and Japan, where central banks are getting closer to easing off their bond-buying stimulus programs, which have weighed on their currencies in the past. A stronger euro and yen, in turn, tend to weigh on many stocks in Europe and Japan, which are export-focused economies. 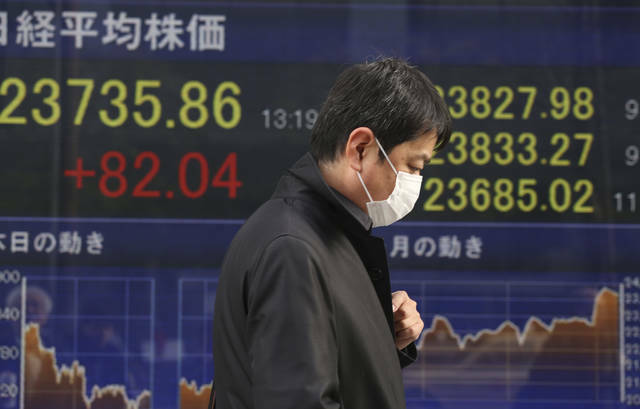 The dollar slipped to 110.56 Japanese yen on Monday from 111.04 yen the previous trading day. The euro strengthened to $1.2263 from $1.2199. The British pound hit $1.3820, its highest level against the dollar since before the Brexit referendum in June 2016, before edging back to $1.3800, up from $1.3725 the previous day. ASIA’S DAY: Asian markets except China mostly finished with modest gains. 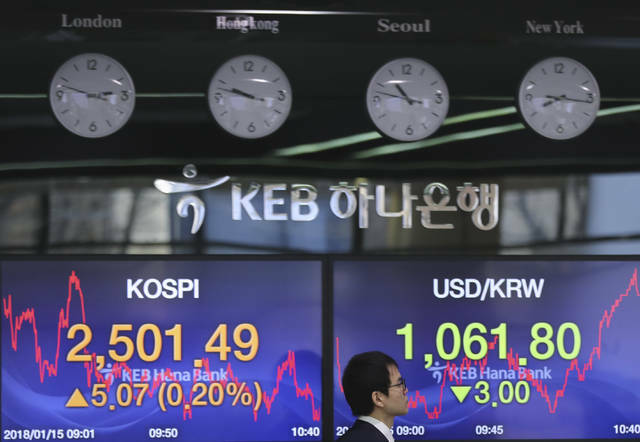 Japan’s Nikkei 225 rose 0.3 percent to 23,714.88 and South Korea’s Kospi added 0.3 percent to 2,503.73. Hong Kong’s Hang Seng index dipped 0.2 percent to 31,338.87 and China’s Shanghai Composite Index slipped 0.5 percent to 3,410.49. Australia’s S&P/ASX 200 inched up 0.1 percent to 6,077.10. CHINA RISK: Shares slipped in Shanghai and Shenzhen after the China Banking Regulatory Commission issued a notice over the weekend calling for stricter oversight of financial risks. The notice took aim at preventing banks from shifting funds into stocks, property investments, local government financing vehicles and industries that violate national policies on pollution or excess capacity, among other areas of concern. OIL: Energy prices rose further as the fall in the dollar made crude oil cheaper for international investors. Benchmark U.S. crude rose 22 cents to $64.52 per barrel in electronic trading on the New York Mercantile Exchange. That is its highest in about three years. Brent crude, the international standard, gained 16 cents to $70.03 per barrel.